UU A Way Of Life: What is true forgiveness? Unlike other religions, Unitarian Univeralism is not big on forgiveness. It is rarely mentioned as being necessary for salvation. It is not only downplayed, it is ignored and repressed. 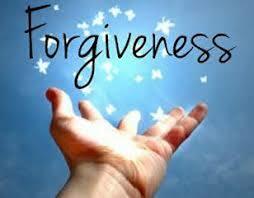 UUs do this at their peril, because forgiveness is the key to gratitude, healing, and wholeness. The forgiveness being referred to here, though, is not the forgiveness discussed on the path of the ego. True forgiveness is the recognition and understanding of what never really existed except in the hell of our own minds. In A Course In Miracles, there is an unusual definition of forgiveness. To understand this definition there first must be an understanding of the metaphysics upon which the Course is based. The first important idea in A Course In Miracles is that the primary problem we, as human beings, experience is the fact that we have separated ourselves from the Oneness which is God. This separation is the Original sin although the Course does not speak of "sin" but of "mistakes." So the separation was our first mistake. The second important idea is that during the separation from the Oneness we have created a world of illusions within which to live. In other words, the experience on the path of ego is a figment of our mutual imaginations. None of it really exists. It's all make believe. In the Oneness, the world we have created on the path of the ego is filled with mirages which constantly change like dreams in our sleep. Most of the time, viewed from mindful perspective, they don't even make sense. The third important idea is that if what we are experiencing are mirages of our own illusional making, there is nothing to forgive. As Kenneth Wapnick puts it in his book, Christian Psychology In A Course In Miracles on page 22, "The Course has an unusual definition of forgiveness: we forgive others for what they have not done to us." A little further, Wapnick explains that if we forgive others in the usual way on the path of the ego we see ourselves as "better" while the others are "worse." Wapnick writes on page 23, "Our sense of separation from them is thus increased rather than healed." Forgiveness, as taught in the Course, is a rising above the situation not a letting go. We come to see mistakes for what they are on the path of the spirit which is simply illusions. Jesus demonstrates this understanding when He says, as He is being crucified, "Father, forgive them for they know not what they do." And they didn't, and we don't, because if we did, we wouldn't do it. Love is never having to say you're sorry, Unconditional Love, that is, which is part of the Oneness which we experience on the path of the spirit. How could the drop say to the ocean, "I'm sorry?" And what would the ocean say? "Welcome home." True forgiveness is a healing brought about by an understanding of what has never been.